Since its founding, ITOKIN has consistently played a central role in the automobile manufacturing industry, which has driven the Japanese economic sphere. The company poured their efforts into advancement of manufacturing technologies, and through the innovation that is demonstrated in safety, the environment, and the economy, ITOKIN has built a strong position as a member of the Toyota Group. As the company entered the decade of the 2010s, the automobile manufacturing industry reached a major turning point and ITOKIN has been developing manufacturing techniques/products that make use of practical technologies. In their goal to further improve their growth, ITOKIN Indonesia decided to focus their attention towards the aspect of automation. Likewise, the company wanted a solution that could do so without sacrificing on the security factor. After discussing their requirements with our Indonesian reseller, PT Retailindo, ITOKIN Indonesia picked out FingerTec AC900 for their installation. With AC900 as the solution, the security system within ITOKIN Indonesia will never fail to deliver its purpose. This is due to the fact that employees won’t have to worry about the misusing of keys or cards since access is controlled by fingerprints. The sheer convenience it provides from using biometric technologies to keeping accurate records of employees’ attendance, also likewise ensure a high level of protection for ITOKIN. Intruders will be kept away from the premises and employers will never have to face instances of ‘buddy punching’ from their staffs again. 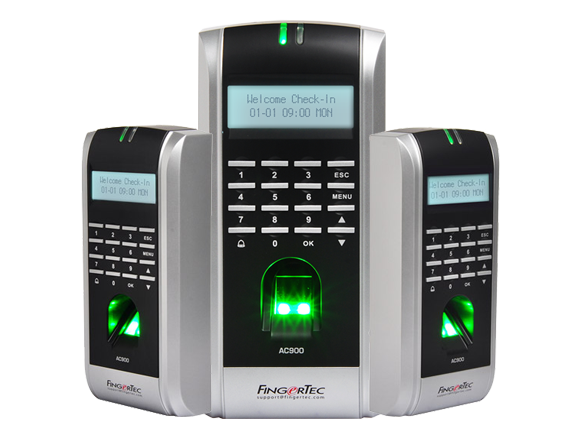 ITOKIN Indonesia is currently installed with FingerTec AC900 along with its bundled software and has been able to maximize the security of its premises ever since. At FingerTec, we produce quality biometric products that are both affordable and practical for the industries, check out some of our latest products provided in the link below.